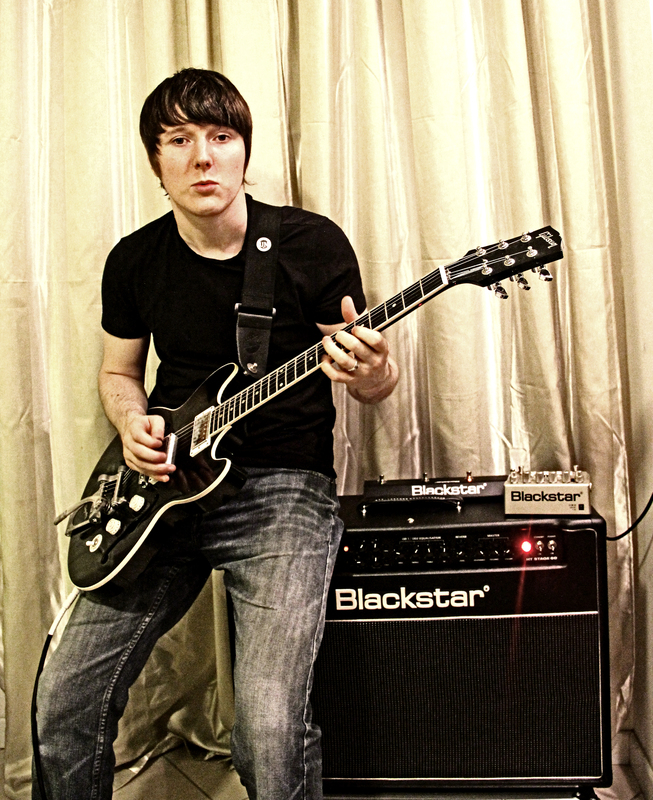 Perched beside me is the BLACKSTAR HT-DUAL. It's a pedal I've been using for a while. Where guitar harmonic distortion is concerned, analog is still a lot better than digital. The Dual has got a couple of valves, an ECC83 in there. I've loved the British amp sounding warmth with the ISF switch rolled to the right. During the recording of our first album "21st.......", I didn't have as many options as it was sort of recorded on the move. But for the material since then it's been great to have a bunch of analog gear to record with. This is why it's great that as of now BLACKSTAR are endorsing Unquiet Nights, and have hooked me up with this HT Stage 60 amp in the picture. We're coming up on the 5 year anniversary since UN first released music, and have been an independent band in the true sense of the word from then until now. So for that reason, any time that a larger company has been willing to help us out and generally get on board with what we're doing, on our terms, rather than try and exploit us, and cost us a lot of money (MAC Cosmetics, etc....), it's amazing, and exactly what we need to continue progressing the band and keep getting to higher places. So I'll never forget what BLACKSTAR are doing for us, at a relatively early stage of our career. Buy something by BLACKSTAR, as I was already doing before they expressed interest in supporting us. Amazing sounding amplification.